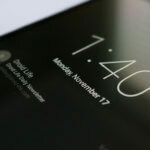 How To Change Android Id: Most android apps take your android device id and make a log of your data.If once you change your android device id no one known what’s your real Android device. This is a simple app to change your Android ID. 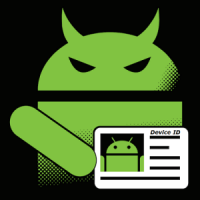 Android Id is the id of your Android Device, with help of Android Id Some Apps Identify your device. So Changing Android id is the solution for that apps will detect your device as new and You can fool Some apps and get Refer Money. Previously, We was also shared a Post regarding How to Change IMEI in Android, Check that out. 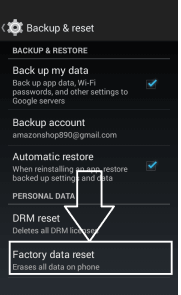 so Checkout step by step guide on how to change android ID now from below. If you change Android id of your Device, then it will snoof apps & let app thinks that your phone is new. Like if you are playing some MOD games, & they have banned your device for play games. then in this matter android id changing may help you. Some peoples also use android id changer for snoofing free recharges apps & getting free recharge app. 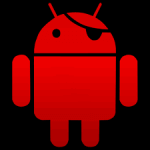 There are some Android apps are also available, which will help you to Spoof IMEI in android, like Xprivacy app. 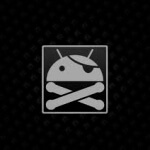 So checkout How to use Xprivacy app or device emulator app in android. What is Android Id and Benefit of Change It ? Android Id an Unique Identification Id of your Android Mobile Phone. With help of Android id, Apps identify devices. Like if you install any gaming app, then it will change your Phone via Imei number + Android id. & Some apps identify device with only IMEI & Some of the apps identify mobile phone via Android Id it's completely depend on app. For Change Android ID in your Android, you need several things to be Setup. So have a look at some of the Basic requirements now from below, for Know more about How to change Android ID Easily in any android device. Your Android Phone Must Be Rooted, Don't know how to root your phone? Don't worry. here is an easy guide about how to root android without pc. Now Open your Phone’s settings, Click On Security and Tick On Unknown Sources. After Install App Click On Open, & it will launch android id changer app successfully. if it not opens or crash or any other issues, then checkout titanium backup app method. After Open App , & it will ask you for root permissions. 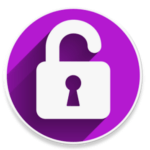 now click on Grant Root Permissions & give root permissions to this app. Now Click On Upper Right Corer, Which Looks Like + Icon , as screenshot below. If You want to enter any android id of your choice, then you can also enter it there without any issues. & click on save button after enter android id. And now your android Id Is Changed Successfully. After Successfully Install Titanium backup app, then Press Menu Key of Your Device. Now Scroll Down And Click on Manage Android Id. and Then Restart Your Phone and You Are Done. you have changed android id in your mobile phone successfully. If you haven't rooted your device yet, then you can simply follow the below tutorial. It will help you to change android id in your Device Without rooting it. Note – All Data including Apps, SMS, Contacts etc from your phone will be wiped after follow below steps. Warning :- This will wipe Your Phone’s data like messages, Numbers, Apps Etc. So Make a backup is Good Choice. Now Click On Upper Right Corer. Then Click On Save New Android Id. And now your android Id Is Changed Successfully. So Guys, This was my easy guide about how to change android id without rooting your phone or in rooted android phone. or in Bluestacks. 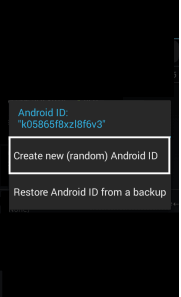 i have added all important steps in which you can change android id. So if you still have any confusion regarding this post, then you are feel free to comment below without any issues. i will try my best to help you out in this matter. Thanks for visiting & keep visit here for more offers like this. – Android Id Changer Guide. Can u tell me any app successful root?? hwy bro I changed all my id but now I want to change it to original. For Changing Android I’d am I need to reboot phone every time??? I used chamelephone for change my IMEI no (lava iris x8 Lollypop), i successfully changed but after that my mobile network not come, if put back original IMEI no then my mobile network comes. So how i change my IMEI no successfully without any risk or problem. Hii bro there is any software like we creat a ola account with xyz imei or android id. After some id want to use 1 st id and the imei or android id is autochange. Kya 1 smart phone me 2 Vodafone connect app 1 sath chalai jaaSakntee he? Yani 2 retailer apne apne acount se joki Vodafone connect me Nana he,se bina uninstall liye activation kar sake .but how?